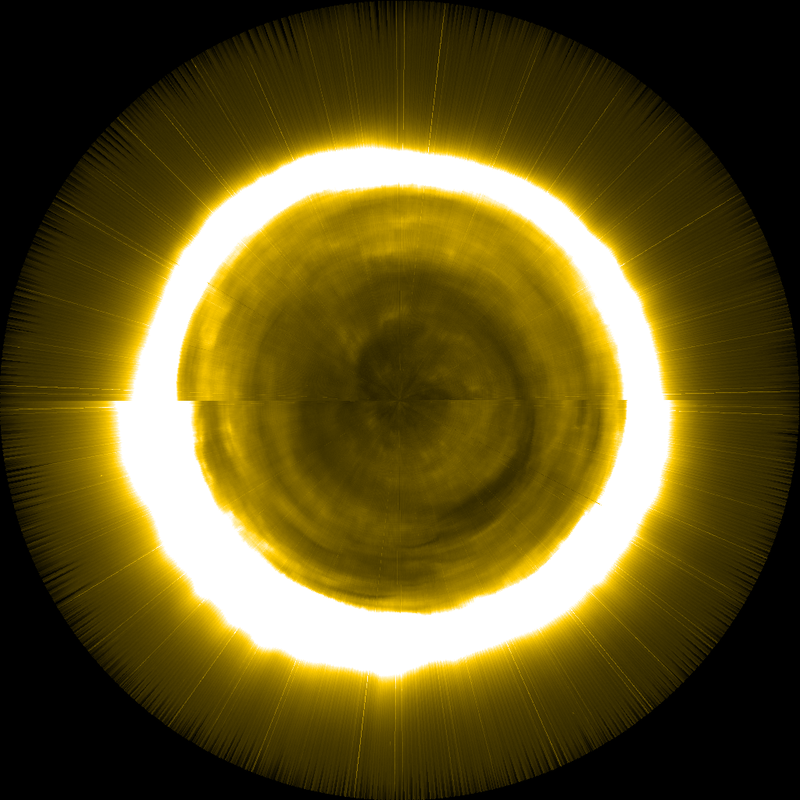 On June 1st, a partial eclipse was visible on Earth at northern latitudes (see e.g. http://en.wikipedia.org/wiki/Solar_…). Between 20:40 and 22:46UT, PROBA2 crossed twice the path of the lunar shadow and registered 2 partial solar eclipses. SWAP was acquiring images at 30s cadence and made a very beautiful recording of the lunar transits. Both the EUV imager SWAP as the X and UV radiometer LYRA onboard PROBA2 are in operational phase for more than one year now and have been acquiring very valuable data. During that year, 11 selected PROBA2 Guest Investigators have been (or are still) visiting the PROBA2 Science Center to efficiently use SWAP and LYRA data in their scientific research. The automatic generation of all LYRA data products after each pass is almost completely set up. Since March 17, also the level 4 data, i.e. PNG files with 1minute-averaged data, are automatically generated after each pass. 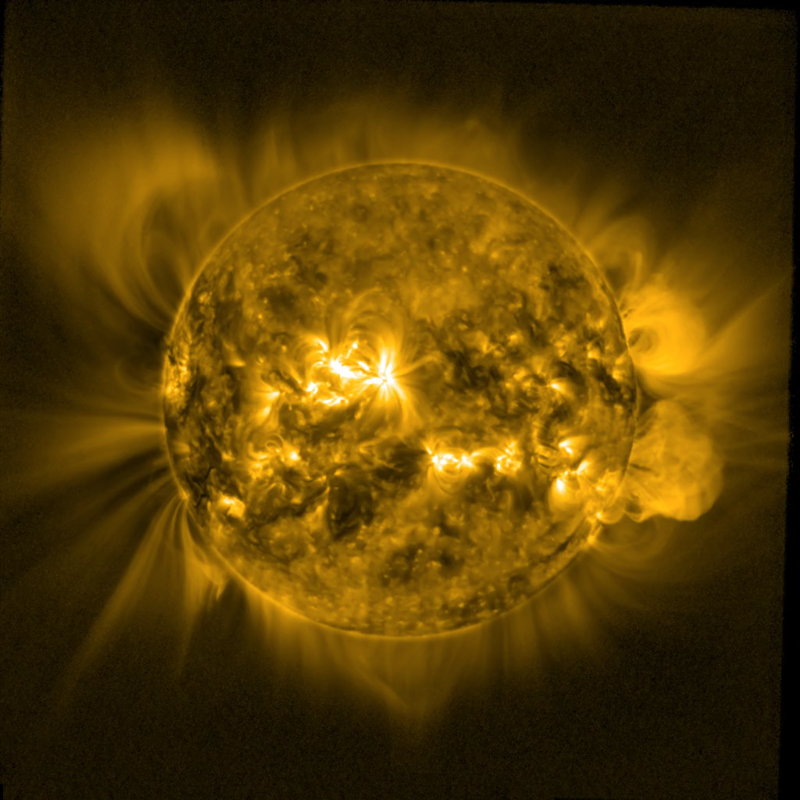 Peaking at 07:35 on February 24, a flare happened at the solar North-East limb. The flare was of category M3.5, noteworthy in itself, but the associated eruption was truly remarkable with plasma being ejected and trackable all the way till the edge of the SWAP field of view. See the SWAP movies! See online : SWAP movie of Feb 24, check around 07:30 the NE limb. On February 15, around 2am, SWAP and LYRA registered their first X-flare. 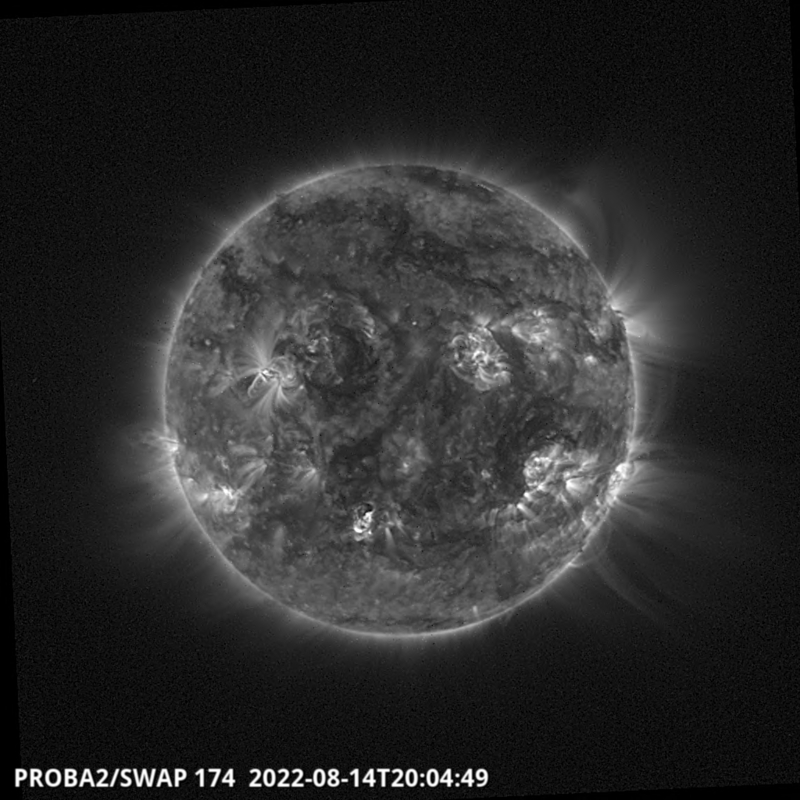 The active region labelled NOAA AR 1158, and located close to the centre of the solar disk, produced an X2.2 flare peaking at 01:56 UT. 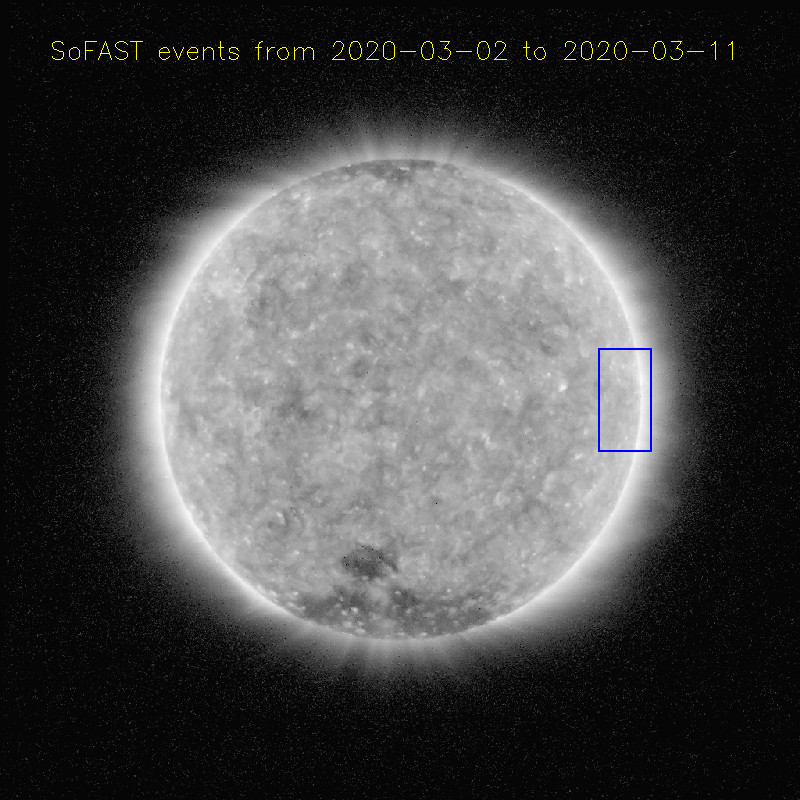 It was associated with an Earth directed CME, which is expected to arrive at Earth on Feb 17. 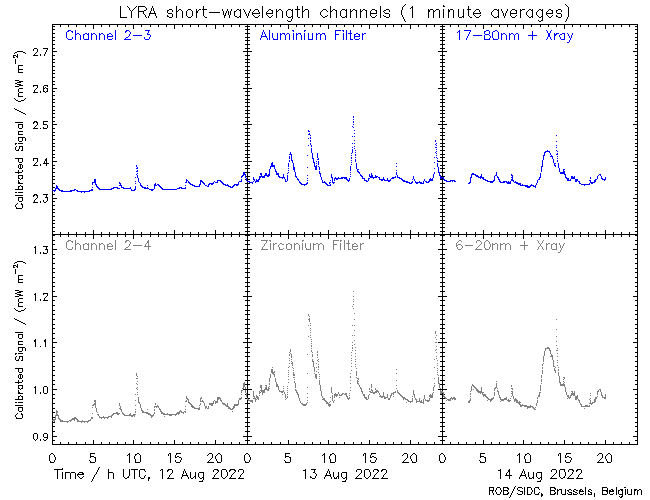 The flare was observed at 50ms cadence in the four LYRA bandpasses, showing the high energy burst in the Aluminium and Zirconium channels.